To avoid beach burnout, my family and I started a tradition: learning something new during our vacations. In the process, we’ve discovered that taking home a new skill can be the best vacation souvenir. It all started when I noticed my family’s annual vacations had fallen into a rut. We were always choosing the same activities — beach, shopping, biking — when we traveled. Not that I’m complaining about relaxing on a beach or pedaling along a country road (and I’ll always say yes to some retail therapy). But I realized that trying new experiences could make our getaways more memorable, rather than simply bringing home souvenir swag. So we started seeking out immersive experiences that allowed us to explore destinations in a different way while also creating special memories together. Best of all, we pick up interesting new skills we can bring home with us. Our first venture into learning something new on vacation was in Maui. 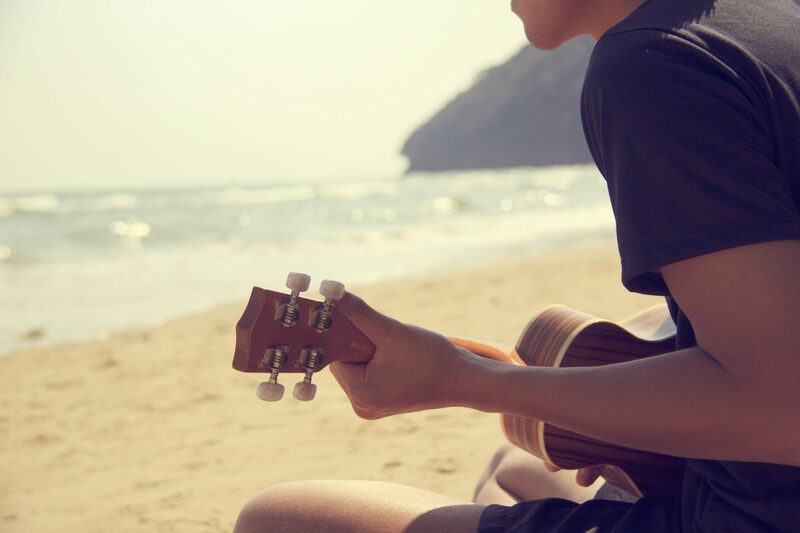 First, we signed up my son for beachside classes where he learned to pluck out a tune on a ukulele. He had fun (and he’s still able to play Vance Joy four years later). But I realized that seeking out opportunities to learn something together, instead of individually, would give us a chance to bond and form a shared memory of our vacation. 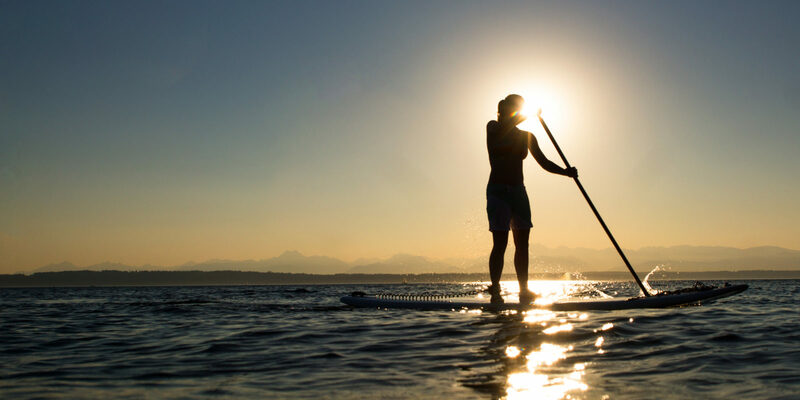 So next up, my son and I took stand-up paddleboard lessons — and although we don’t have a lot of occasions to practice at home, we still talk about it often. The experience also encouraged us to try more physical adventures on later trips. On our next vacation, my husband, son and I wanted to try something together that we could replicate back home. 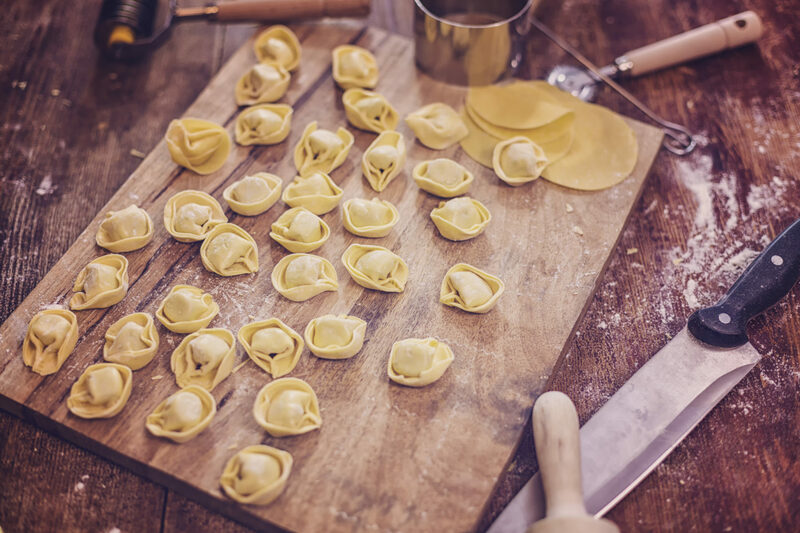 So I booked a private pasta-making class during our spring break trip to Florence. After we entered the sunny cooking studio and donned matching aprons, the teacher presented us with our menu for the day: tortellini, grilled bistecca and tiramisu. My son was especially thrilled with the authentic pasta-making table that stretched across the room. Our instructor showed us the difference between a semolina and a regular durum flour (semolina is better for a heartier pasta). 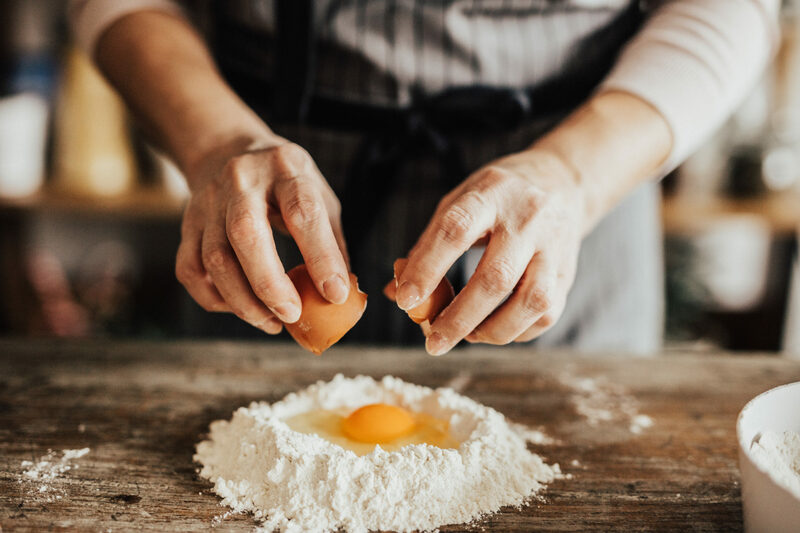 Then she demonstrated how to blend eggs into flour by making a well and combining the ingredients with our hands — “You have to feel the dough to understand it,” she instructed. She also taught us how to roll out the dough using a manual pasta crank. When my husband tried to back away from the messy flour piles, our teacher gently prodded him back to his station, and we all ended up having a great time getting good and powdery as our class continued. After grilling steaks and learning the secrets of making tiramisu — it involves hot sugar and strong espresso — we sat down as a family and enjoyed the fruits of our labor. Not only was the meal a highlight of our trip, we still make pasta at home together — our best souvenir from any trip yet. And my son even made fresh pasta on camera when he competed on Chopped Junior, where he was a finalist! Give yourself a day or two in your destination to become acclimated before committing to an activity or lesson; you won’t enjoy it as much, or remember it as well, if you’re jet lagged. 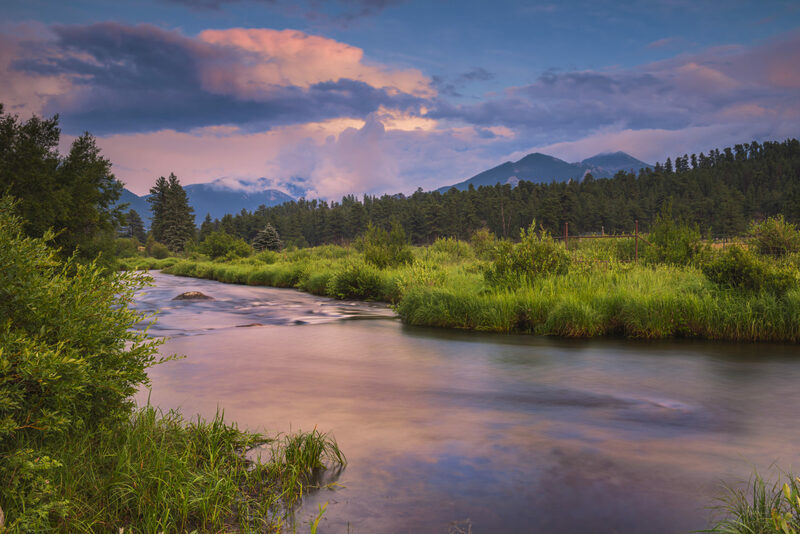 I’m not going to lie: as I wiggled into the full body waders and waterproof boots at the fly fishing outfitters in Estes Park, I had doubts about the fishing adventure I had booked as part of our Rocky Mountain National Park vacation. But as we waded into the Big Thompson River, my trepidation faded. A moose bugled nearby, a sound I’d only read about in brochures, and the daytime noise of people and cars faded away. With a guide at our side, we learned the basics of how to tie, hook and cast. Casting into the river, which runs through the Moraine area of Rocky Mountain National Park, was a new experience for my whole family. But my son is what you’d call a natural, taking to the water, well, like a fish. I knew he’d often used a fishing pole at camp, but watching him casting into the river gave me a new appreciation for his ability to be at ease and relax into nature. While I kept coming up empty, my son reeled in trout three times. 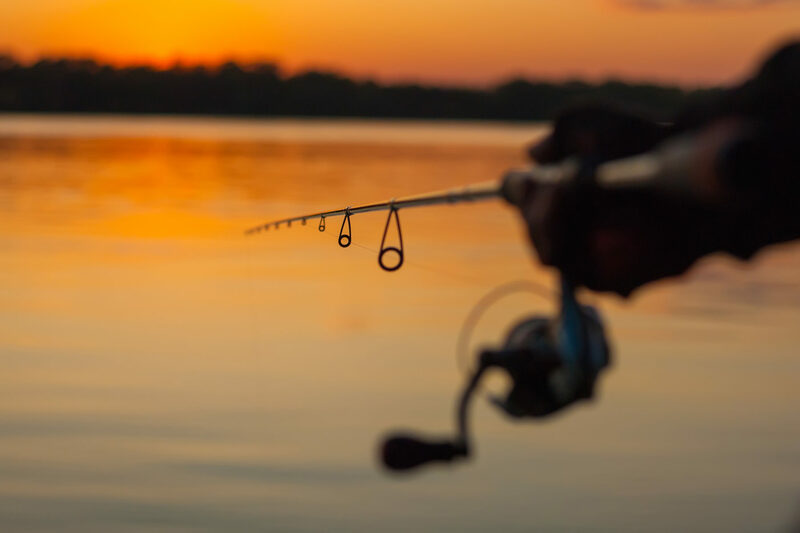 Finally, as the sun finished sinking behind the mountains and the light was nearly extinguished, I felt a slight tug on my line. “Good job, Mom,” I heard my son whisper across the water. I felt an adrenaline rush I didn’t know you could find in such serene surroundings. And that is truly my best vacation souvenir. Research all of your options before you travel so you have a good idea of what types of classes and activities are offered nearby. Select something that pushes just at the edges of your comfort zone — it should be challenging and new, but also good family fun! Find your next travel learning adventure through the Marriott Vacation Club Destinations® Exchange Program. Melissa K. is a travel writer living in New Jersey.